Condenser pump is one of main auxiliary equipments in turbine system. It brings condensing water to deaerator through heating. 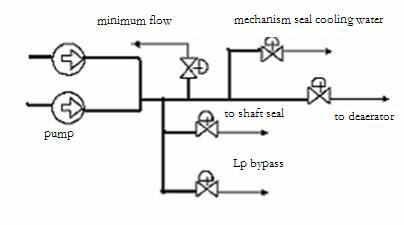 Because of constant speed operation, flow only can be controlled by valve. Great throttle loss, high outlet pressure, damage on pipe and low efficiency lead to frequent leakages and energy waste. Furthermore, this kind of mechanic adjustment structure has bad quality, linearity and low switch rate. Frequent adjustments cause lots of faults, which increases maintenance cost and wastes resources. 2 100% capacity condenser pumps are equipped with 300MW generator. Model is 9LDTNA4. Rated flow is 841m3/h. Water lift is 280m. Speed is 1480rpm. Asynchronous motor power is 1000KW. During reconstruction, we add MV inverter to implement stepless adjustment. Power varies with load variety. It heightens efficiency and optimizes operation. Reconstruction complies tenet of "small change, more reliability, best economic benefit". Advantages: make full use of existing equipment; low cost; keep original control mode same and ensure motor to run in direct on line when inverter is broken; easy maintenance. Disadvantages: complicated connection; need to add MV breaker; need to add close circuit. 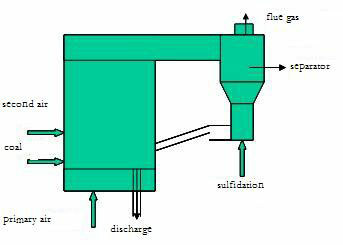 Operation process is following when a pump is broken. When the pump controlled by inverter is broken, the other pump switches to direct on line automatically (same as original switch mode). When the broken pump is well repaired, it switches to variable frequency state. 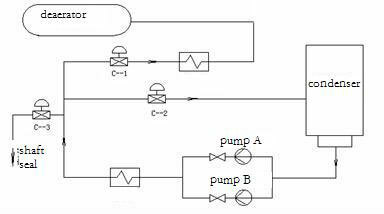 The spare pump runs only in direct on line, cannot run in variable frequency state. 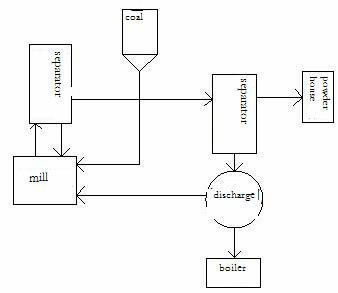 By looking through relevant material and inquiry from other power plants, our plant put forward to adopt variable frequency adjustment. Existing practice proves that this method has considerable effect of energy saving. We also made comparison and analysis between variable frequency adjustment and hydraulic coupling adjustment. We went to Haikou Power Plant and asked for information, finding following disadvantages of hydraulic coupling: complicated system, low reliability, much maintenance labour. Its advantages is low price and low cost. Through analysing actual state, the plant did not have enough installation space for hydraulic coupling. So we gave up hydraulic coupling and decided to use variable frequency adjustment. With consecutive development, variable frequency technology has reached a high level and has applied in several industries and civil facilities, such as civil variable frequency air conditioner. Its character is to utilize open/close loop control. Power cells of inverter output power required through AC-DC-AC single phase inverter circuit. Frequency inverter makes output frequency meet technics requirement, thereby reaching goal control and purpose of energy saving. The plant selected and purchased Gozuk inverter at last. The inverter is high-high voltage source inverter, adopting cell-cascaded and multi level technology, with advantages of less harmonic, better output waveform. Because 6kV switch room has no enough installation space, plant decided to install one inverter for each surplus heat boiler. Frequency inverter has function of "one drive two". It can drive P1, P2, and has bypass function. Two boilers use two inverters. 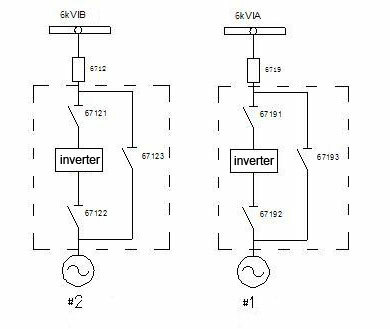 The two inverters drive four pumps. Reconstruction began in August, 2004. The whole installation and commissioning finished within a week. For above reasons, we must adopt special operation mode to ensure safe operation of water feeding system. We selected following mode eventually. During normal operation, variable frequency pump works. System adopts HP steam drum close loop control. Water feeding governing valve is in manual control and full open. Standby pump in direct on line does not join link start, which can prevent trip-off resulted from high water level of HP steam drum when personnel does not take measure in time. In the case of failure of inverter or running pump, it stops automatically or by manual. Personnel should start standby pump manually and adjust appropriate opening of valve as per load of that time. Exit HP steam drum three low value protection, avoid tripping caused by lag control. The gist is that surplus heat boiler has capacity of dry burning. Anyway, these ask for high requirement to personnel. When the frequency inverter is broken, original running pump can use line power to become as standby pump, thereby making high serviceability of water feeding system, reducing probabilities of stop farthest. Frequency inverters have a great of prospect in application because the inverter can save a large amount of electric energy when they are used for fans. Capacity of the Power Generation is 110MW. After reconstruction of 1# dedust fan, the power of fan increases 525kW. Variable frequency technology is an effective method to save energy. Variable frequency can realize soft start, reduce impact on equipment. In addition, inverter installation is very easy. It only series connects between breaker and motor. No need to change load and motor. 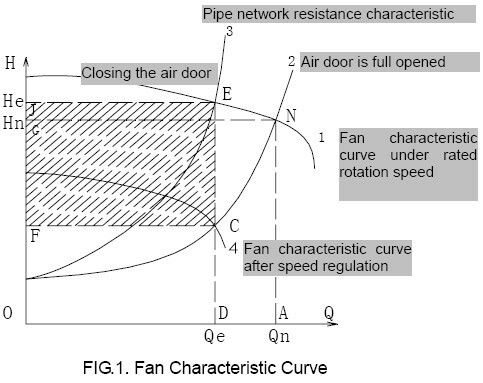 It is necessary to use inverter to save energy for ID fan. Air flow is controlled by damper in 1# system. 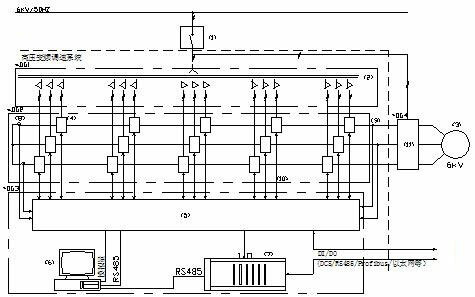 Big redundancy power and damper adjusting mode cause high power consumption. According to practical operation, inverter current can be 100A, 18.6A less than motor rated current 118.6A. 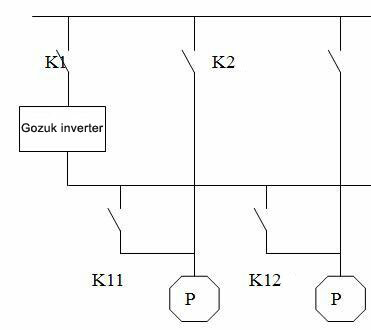 After research market, we finally choose Gozuk inverter. The inverter current is 105A. Bypass cabinet is installed to ensure system stability. When the frequency inverter is broken, motor can be switched to direct on line manually. Bypass circuit is composed of 3 breakers QS1, QS2 and QS3. QS2 and QS3 are interlocked. In variable frequency state, QS1 and QS2 close, QS3 opens. In direct on line state, QS3 closes, QS1 and QS2 open. In order to protect inverter, we design link lock with QF. Once the inverter is broken, inverter switches off QF. In direct on line state, inverter cancels signal of QF trip-off to make motor run in direct on line. Frequency inverter can also be equipped with upper PC. The PC is installed in control room. User can start/stop, set speed through PC. PC can show operation data and current state. User can also control inverter through operation platform.